For the suits at Nike Golf, Tiger Woods’s emotional, long-awaited win at the Masters this weekend was the cherry on top of a very good weekend. All three players in the featured final grouping — Woods, Italian Francesco Molinari and American Tony Finau — were Nike athletes, and their various swooshes hogged the camera all weekend. 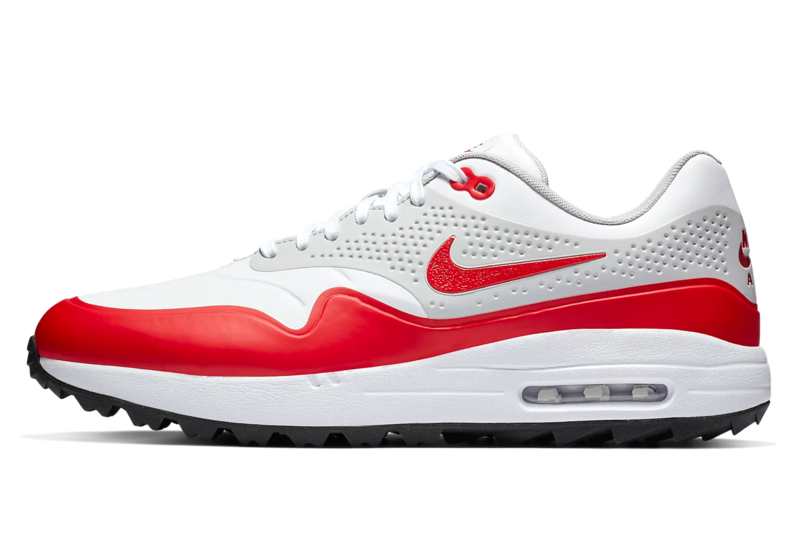 Of note were Finau’s Air Max 1 G golf shoes, a turf-friendly version of the iconic Air Max 1. Golf-specific features include watertight no-sew construction, a more flexible outsole and added traction, but the silhouette is Air Max through and through, right down to the conspicuous air cushion insert in the heel. They’re a welcome alternative to the staid golf spikes that nearly every other player on tour wears, and will add a dose of casual cool to your golf kit for just $120. The Air Max 1 G currently available in four colorways at Nike.